We’ve attempted to answer the most common queries we receive about our products and recycled timber in general. Of course, we love talking about timber so if your question isn’t answered below, please contact us for more information. 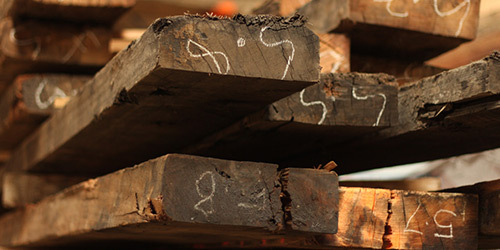 We source our reclaimed timber from all over Victoria and New South Wales. The majority of our stock comes from the demolition of significant buildings and warehouses. We use structural timbers from these sites to produce our range of finished products. Check out some videos of our work with reclaimed timber on our YouTube channel. 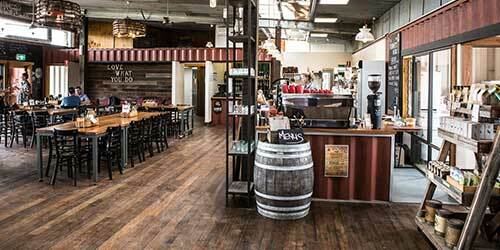 What's so good about reclaimed timber? Reclaimed timber is generally pretty old, and as it ages it becomes more and more stable (or seasoned). Stable timbers are less inclined to “move” or warp, which is really important for applications such as flooring, decking and bench tops. In addition to the technical aspect, the appearance of reclaimed timber is another reason people choose it for their projects, as it shows more character and feature which it develops over its lifetime. 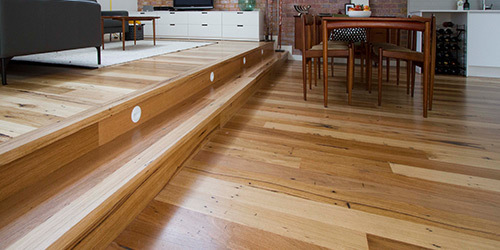 I want to install or replace reclaimed Baltic Pine or Tasmanian Oak floorboards in my home. What do I need to know? Reclaimed floor boards are removed from their original home and supplied to clients with the original finish or coating on them. Reclaimed flooring is usually finished with a polyurethane coating, which needs to be sanded back and refinished once installed. When sourcing your reclaimed flooring it is important to ensure consistency in the width and thickness of your boards. Much like our wardrobe, we like to freshen up our flooring when it starts to look shabby so over the lifetime of timber flooring the boards may have been sanded back and refinished a number of times, and this will differ from house to house. Each batch of flooring will vary in thickness for this reason, so when buy your reclaimed flooring try to buy the amount you need from the one supplier as a bulk lot that came from one house. Do you offer processing, machining or laminating? We can offer denailing and metal detecting, ripping and deep cutting, square dressing and laminating. Our minimum quantity for processing and machining services is 200 lineal metres. Contact us for our workshop and machining rates. Can you ship timber to other states besides Melbourne? Absolutely, we ship nationally. Please contact us for your requirements. 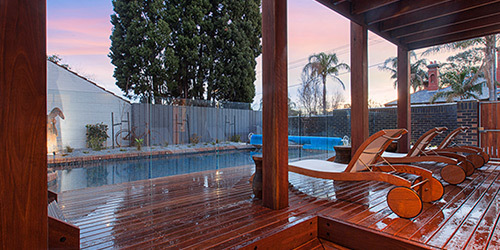 Do you have to acclimatise your timber floor? In most instances no. We supply products that have been either suitably kiln-dried or air-dried and the moisture content is checked and recorded prior to delivery. Once onsite, another moisture test will ascertain whether the flooring can be laid straight away, and in most cases it is ready to lay out of the pack. The only instance flooring products will require acclimatisation is if the moisture content is too high or too low. If this is the case, 2 weeks acclimatisation is usually sufficient. What is the minimum size batten or ply that can be used over a concrete slab? When laying a timber floor over a concrete slab, a timber substrate is required. A 35mm batten is the minimum or a 12mm ply is equally suitable. How many coats of polish do you apply to the floor? We apply three coats of our solvent based and water based polyurethane systems, or two coats for most oils. Can you sand the floor and apply one coat of polish before the kitchen goes in, and then finish the coats after the kitchen is installed? This approach isn’t recommended, as it allows for contaminants in between coats. We complete the job from start to finish without interruption, as this ensures a high quality finish every time. How can I repair scratches or damaged areas of the floor finish? This is a difficult question to answer, as it depends on a number of factors including the severity of the scratch and the type of finish on the floor. If it looks as though the floor could be spot repaired, specialised products such as OSMO or Bona Naturalle work well. Standard solvent based polyurethane or water based systems are difficult to repair and may require replacement of boards. Reclaimed floor boards are removed from their original home and supplied to clients with the original finish or coating on them. In most instances, reclaimed flooring is finished with a polyurethane coating which needs to be sanded back and refinished once installed. When sourcing your reclaimed flooring it is important to ensure consistency in the width and thickness of your boards. Much like our wardrobe, we like to freshen up our flooring when it starts to look shabby so over the lifetime of timber flooring the boards may have been sanded back and refinished a number of times, and this will differ from house to house. Each batch of flooring will vary in thickness for this reason, so when buy your reclaimed flooring try to buy the amount you need from the one supplier as a bulk lot that came from one house. How much clearance do I need to leave between the ground and the joist? Ventilation is really important for decking. Without good cross ventilation the timber will take up the moisture on the underside and this will cause cupping. Where possible avoid solid perimeter walls for this reason. We recommend a minimum of 300mm between the ground and the bottom of the joist. This also applies when laying over an exposed concrete slab where it can collect rain. Do I need to install a membrane over my joists? We recommend installing a membrane. This will keep your joists dry and limits the chance of rotting. It can also allow better fixing of your nails or screws. Do I have to leave a gap between the boards? What size should I leave? Adequate gapping allows for normal expansion during high humidity or wet weather conditions. The recommendation for boards 66-86mm wide is no less than a 4mm gap. For boards 135mm and wider, no less than 6mm gap. Which is better to fix the deck, screws or nails? This is a personal preference. Whichever you chose, you should ensure that you use properly designed screws or nails specifically for decking. Your fixings should be hot dipped galvanised or stainless steel if you are close to saltwater. When using 19mm decking nails they should be a minimum length of 65mm. When using decking screws, we recommend using at least a 10 gauge for softwood joists. For boards 130mm and wider we recommend 14 gauge screws. Do I have to pre-drill the holes if I'm using decking screws? If using decking screws we recommended that you drill a pilot or countersunk hole in the decking. Pre-drilling holes assists in reducing the stress of expansion and contraction that seasonal movement changes will cause in the timber. This process will also limit the occurrence of cracking and splitting in the boards. If you’re using decking nails, ensure that the board ends are pre-drilled otherwise they will split. Do I have to prepare the decking boards before I lay them? We recommended oil based preparations are applied to all surfaces of the boards (including the trimmed ends) prior to installation. This will reduce the amount of moisture penetration and minimise movement of your deck. Once installation is complete, we recommend a second coat be applied to the exposed surfaces.